If thoughts of Lyme Disease were enough to keep you up at night, you might want to hide under covers after hearing this: Powassan Virus infections are reportedly on the rise. According to the CDC, instances of Powassan Virus infections rose to double-digit numbers in 2011 and 2013. While these numbers are still relatively low—particularly when compared to the number of Lyme Disease infections since 2003—Powassan is considered to be much more dangerous than Lyme Disease, potentially even fatal. The Powassan Virus is commonly transmitted by the eastern deer tick (ixodes scapularis, or the “blacklegged tick”), the same culprit responsible for Lyme disease infections. However, unlike Lyme Disease—which is typically transmitted only after an infected tick has been attached to its host for 24-36 hours—Powassan transmission occurs within minutes of being bitten by an infected tick, and symptoms can take as little as 15 minutes to begin appearing. Another name for this strain of Powassan Virus is, appropriately, Deer Tick Virus (DTV). While the list of Powassan’s symptoms is similar to those associated with Lyme Disease (including fever, headaches, joint inflammation and/or stiffness, vomiting, loss of coordination, confusion, and seizures), they are typically more severe. Frustratingly, it may also take up to a month after infection for any of these signs to appear, if they do at all, making it difficult to realize that something is wrong until the infection has already begun to cause real damage. At its worst, Powassan Virus can infect the central nervous system and cause several life-threatening conditions, including “encephalitis (inflamation of the brain) and menengitis (inflammation of the membranes that surround the brain and spinal cord).” Approximately 50% of those infected will have lifelong neurological issues, including memory loss, headaches, and degradation of muscle tissue. Even more frightening is the cause of the infection. Whereas Lyme Disease is a bacterial infection, and thus can be treated with antibiotics, Powassan is a flavivirus—much like the West Nile virus—and has no vaccine, treatment, or cure. 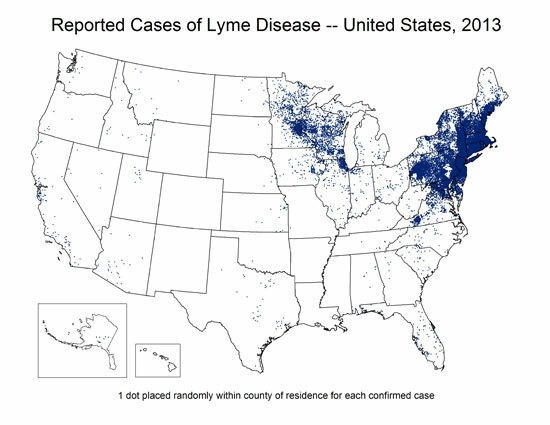 “The doctor just has to support you during the acute illness and hope that you survive,” Dr. Daniel Cameron, President of the International Lyme and Associated Diseases Society, said to CBS News. I think I speak for all A.T. enthusiasts when I weep silently into my oatmeal. Wear a long-sleeved shirt tucked into your pants, full-length pants tucked into your socks, and enclosed shoes. Wear light colored clothing so it’s easy to see deer ticks that have latched onto you. Wear a hat to keep ticks out of your hair. Use DEET and permethrin to deflect/kill deer ticks. Check yourself for ticks frequently, particularly after going through areas with high grass or thick brush. Check under your clothes and in folds of skin for any ticks that have penetrated your defenses. Let’s also keep in mind that this virus is extremely scarce in the grand scheme of things: less than 60 people have been infected since 2004, and no new numbers have been released by the CDC since Appalachian Trials author Kenny Howell published a report on the Deer Tick Virus last summer. It seems that the recent influx of news coverage on the Powassan Virus is tied more to increasing interest in summer activities rather than a huge increase in infections—though, of course, we’ll have to wait for the 2014 statistics to be released before a more thorough evaluation can be formulated. As always, it pays to be over-prepared rather than under-prepared. With a little luck and proper preparation, Powassan Virus will continue to be a little-known infection that only occasionally rears its head—and you may keep its evil cousin Lyme Disease at bay while you’re at it.